Pets Uniting People Society (P.U.P.S.) 2nd Annual Autumn Leaves fundraiser sparkled and shined on Saturday, September 14th, at Springfield Country Club with the many wonderful auction baskets that were decorated by Dottie, Board Member Dave Smiddy’s wife. She has a great talent for basket design and her grandson (Board Member Stacey Picolo’s son), J.D. Walsh, Willow Group, supplies P.U.P.S. with the decorative baskets for the occasion. Dottie brings the donated items to life in her creative arrangements. She received assistance from her daughter, Stacey Picolo, a P.U.P.S. Board Member, and Sue Ellen Kelly, a P.U.P.S. Volunteer. Rick Benning, Ambience, offered room finishing touches with P.U.P.S. logo banners including the colorful leaves to add the glamour and charm to our signature theme, “Autumn Leaves”. We appreciate all that he did for us. Curtis Mumma, Mumma Realty & Auctioneers, whacked the gavel for the best auction bids. With his talent, along with the many individuals and businesses that contributed, P.U.P.S. reached their goal! The P.U.P.S. Board worked diligently to make this event even better than it was last year. P.U.P.S. would like to thank Dr. Nikki Maynard, a local veterinarian, for being our speaker for the day. Due to a previous commitment, she could not speak until after the auction. Even with the time conflict, she managed questions from the audience very well and finished out our event on a very positive note. We appreciate her rearranging her schedule to visit us on that special day. Big shout out to Susan and Andy Pike for sponsoring the entire day at Springfield Country Club. We appreciate their donation to cover the expense of this event. Without their generosity, P.U.P.S. would not be able to assist as many needy animals and the people who care for them. Most importantly, we’d like to thank Springfield Animal Care Center (Liz Spencer, Cookie Huber, Dr. Dave, Dr. Laura, Dr. Jamie, and Dr. Leslie and the rest of the staff) without their care, compassion, and consideration for our program, there would no P.U.P.S. as we know it today. They have been so kind to help in a quest that is on-going. Location again this year was the lovely and beautiful Springfield Country Club, thanks to our event sponsors, Andy and Susan Pike. Not only does Susan donate the location and expense of the event site, but also donated some items for our beautiful baskets, ie Estee Lauder and Hello Kitty as well as other items contributed from her friend’s pet grooming/supply store. What a fabulous array of items! Special thanks to: Andy & Susan Pike, Dave & Dottie Smiddy, Mike & Stacey Picolo, Judy Benning, Julie Shaffer, Rosemarie Benning, Becky Moyer, Lyn Hardman, Sue Ellen Kelly, Curtis Mumma, Dr. Nikki Maynard, Patrick Hayes, Rick Benning, Daragh Wobbe, and everyone who attended that day. It was a terrific event! We did it! We reached our goal! We may now continue our neuter/spay program for another 3 to 4 months as the need is great. 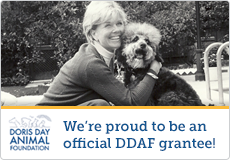 However, we are hoping the foundations where we submit grants will see the worthiness of our organization and choose to award neuter/spay funds so we do not have a gap in our program. It’s making a difference! Our main purpose is to assist low-income families to neuter/spay their cats/kittens and neuter/spay free-roaming cats to keep the cat population down in our community. In addition, we adopt loving kittens into wonderful homes in the Central Ohio area. When advertising funds are available, we offer a free progress report newsletter to the general public “PUPS Digest” regarding education, awareness, and responsibility in animal welfare.